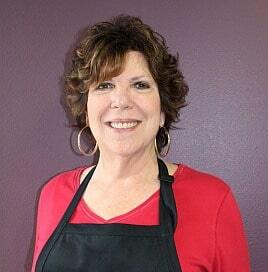 Laurie Zagon is the creator and founder of Southern California-based Art & Creativity for Healing. Its mission to “support emotional healing through art and creative expression for those living with pain, grief, fear or stress” has roots from Zagon’s own difficult childhood. Art was an escape from painful experiences and this early discovery would ultimately serve tens of thousands of adults and children with a variety of life challenges. A New York native, Zagon earned her undergraduate degree at the Maryland Institute College of Art in Baltimore and a Masters of Fine Arts degree from Syracuse University. For over 14 years, she was a fine art professor at City University of New York where she taught design, color and light theory and painting. In 1987, Zagon by chance connected with two Wall Street executives which led to an unforeseen opportunity – expressive art workshops to deal with stress. Zagon realized that if art could relax stressed-out Wall Street executives, she imagined its impact with people going through other adversities such as grief, addiction or cancer. Later that year, the Art4Healing® method was born. Zagon moved from New York to southern California in 1989 following the publication, “It’s Never Too Late to Have a Happy Childhood,” by author and former Laguna Beach resident Dr. Claudia Black. The book about healing from alcoholism and addiction featured thirty-four of Zagon’s paintings – another step in art fostering transformational change. Art & Creativity for Healing formed in 2001 as a 501(c)(3) nonprofit organization and has since provided the Art4Healing® method of artistic development and expression through more than 35 nonprofit program partners throughout southern California. Amy D’Urso has a bachelor’s degree in Studio Art from Florida State University. She has worked in the nonprofit sector for 6+ years as a program coordinator. 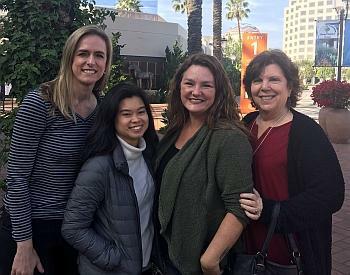 As Program Coordinator, Amy trains volunteers, coordinates guild meetings, assists with volunteer orientations and performs a variety of administrative tasks. 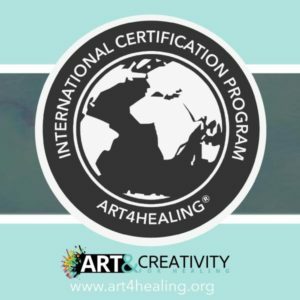 She is also a certified Art4Healing® Facilitator. Lindsay Reskey has a bachelor’s degree in Communication and Media Studies from Azusa Pacific University. 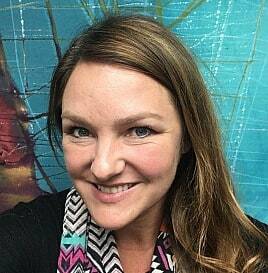 She was on the team that opened up Art & Creativity for Healing 18 years ago and has enjoyed working in the nonprofit sector for 8+ years. In addition to working in Graphic Design, Lindsay has worked in event management as well as youth and community outreach. 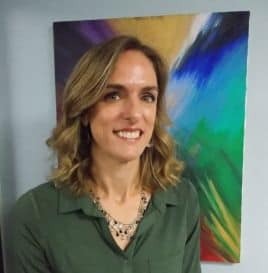 When she is not enjoying her work as Art & Creativity for Healing’s Graphic Designer, Lindsay can be found spending time with her husband of 15 years and their two creative daughters. Mary Grace Sanchez has a bachelor’s degree in Art History from UC Irvine and a master’s degree in Art (specializing in Art History and Museum studies) from CSU Long Beach, and has worked in the nonprofit sector for 3+ years. In addition to Art, Mary Grace also has experience in education, for example: creating and facilitating programs for children ages 1 to 17 and adults in the University setting, and non-profit management. As Program Director, Mary Grace coordinates all Art4Healing workshops between ACFH and our 35+ partner agencies. She also helped to develop and maintain the Art4Healing International Certificate Program.